peAk building (in the foreground) where solar lights and education blossom - winter 2011/2012. 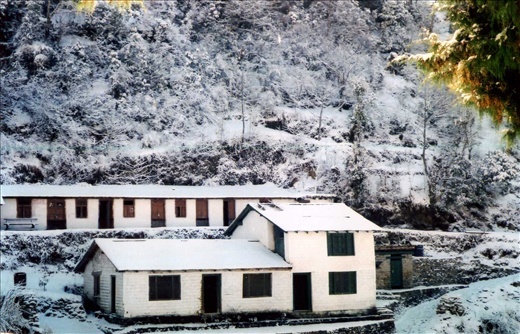 PEAK's work in the installation of Solar Home Lighting Units, primary school education, potable water/hygiene project and the provision of basic healthcare has made a tangible difference to villagers lives in the Kumoan Himalaya, India. This is all made possible thanks to the support of the World Nomads Footprints Program and private donations.